BERLIN (Reuters) - German sportswear firm Adidas is teaming up with a group trying to clean up the world's oceans with a plan to develop materials made from marine plastic waste that can be used in its products. As the result of its partnership with the Parley for the Oceans initiative, Adidas also said on Monday it would phase out the use of plastic bags at its 2,900 stores. Big fashion brands are jostling to highlight their ethical credentials as protest groups like Greenpeace pressure them to cut their environmental impact and improve factory conditions. Swedish retailer H&M for instance has pledged to triple the amount of products made of recycled fibres by the end of 2015. Plastic used in the consumer goods industry causes marine pollution with a "natural capital cost", a measure of environmental damage, of at least $13 billion a year, according to the United Nations Environment Programme (UNEP). Parley, a group of artists, designers, musicians and scientists, says much of the plastic waste ends up in mid-ocean whirlpools, entangling whales, birds and turtles and damaging the internal organs of the fish that ingest it. Adidas said it would work with Parley to develop fibres made from recycled ocean waste for use in its clothing, and potentially shoe uppers, from next year. Dutch retailer G-Star Raw worked with Parley last year to launch a denim line made out of plastic waste. 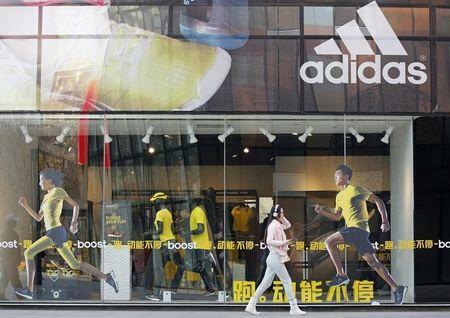 Adidas made the announcement as it released its annual sustainability report, which detailed other steps the company is taking to improve its environmental record, such as using more sustainably-farmed cotton and recycled polyester. Is a Surprise Coming for PayPal (PYPL) This Earnings Season?